Financial Freedom is a state in which a person or household has sufficient wealth to live on without having to depend on income from only one source. Financially Free people have assets that generate income that is equal to their expenses plus enough to have leisure pursuits. Being free, financially, means you can maintain your desired lifestyle without a regular paycheck or additional income to your regular paycheck. Instead of defining financial freedom as a single point in time, I describe the concept into four levels. Nearly everyone begins life’s journey by relying on a monthly paycheck. At this stage, a job and reliable income stream is required to pay the bills. Without the ongoing paycheck, any savings could be quickly depleted and you could risk defaulting on your monthly expenses. To graduate into the temporary level of financial freedom, you need to spend less than you earn and create a pool of savings. Otherwise, you will be forced to continue working indefinitely because your lifestyle depends on your employment income. As you begin to save a portion of your income, you might invest your savings in a diversified investment portfolio to produce a regular stream of income. Or, you might start a passion business on the side, creating another stream of income. Your freedom grows alongside your savings. Eventually, you will have enough money saved to feel comfortable switching jobs, starting a business, returning to school, traveling for a year, or any number of other activities that are impossible to achieve while working full-time. These can be major life changes, but they are not permanent. Your freedom is temporary until your income exceeds all of your expenses. At this level, your total non-employment income exceeds your total expenses and you no longer require a steady paycheck from your employer. Some people have a reliable side business and/or a large investment portfolio producing a substantial amount of income. Yes, a side business is still labor income. You are trading your time for money. However, a side hustle represents your passion. It’s something that you enjoy doing and something that you find fulfilling or meaningful. Financial Freedom does not require that you retire early to a life of leisure (unless that is your desire). It’s about having autonomy and independence in your daily routine, allowing you to design a better life while spending your time, money, and energy in a more meaningful way. 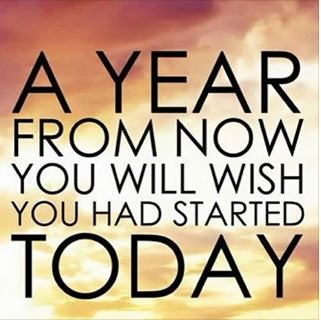 If that includes starting a new business, great! Doing meaningful work, while getting paid is my definition of a win-win. This last level is a concept that is rarely discussed or achieved. While I define permanent Financial Freedom as the point at which your income exceeds your expenses, such a definition is shallow and full of important assumptions. For example, if you know that you require $1,500/month to live a bare bones lifestyle, and you can safely withdraw between $1,500-$1,600/month from your investment portfolio, you have technically achieved Financial Freedom. But have you? What if a budget of $2,000/month would provide a significant increase in satisfaction? Perhaps the additional $500/month could be used for hobbies, entertainment, and travel. All of which make you far happier in your life. But $2000/month in expenses is more than your portfolio can support, which means you’re headed in the wrong direction (back to temporary freedom). The trade-off in this scenario is clear. You can continue working additional years to build a bigger pool of savings, which will provide additional income and flexibility for the remainder of your life. Or, you can leave your job as soon as possible and hope that a smaller portfolio will provide sufficient income. 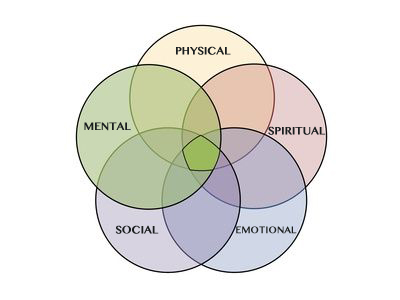 It’s all about finding the right balance given your personal situation. When you have enough passive income to spend freely, that is what I call Luxurious Financial Freedom. It’s the point at which your income exceeds your expenses by a comfortable margin, allowing you to increase or decrease your spending given your desired lifestyle. Given the various levels of Financial Freedom, and the differing opinions on work, where do you fall in the spectrum? Is Financial Freedom important to you? Or, would you rather continue working and spending your paycheck freely? Or living paycheck to paycheck? Financial Freedom was my primary long-term financial goal since I was twelve. I appreciate the flexibility and freedom that accompanies a large pool of savings, and I would rather forego consumption than live dependent on a monthly paycheck. My favorite goal now is mentoring others to achieve their Financial Freedom. You can be completely debt-free, and have accumulated enough assets to purchase a prolonged period of freedom. Unfortunately, the media often portrays Financial Freedom as an insurmountable task that requires decades of saving and investing. That’s sometimes true, but it’s beneficial to focus on each victory along the way. For example, most people could pay off all non-mortgage debt, and accumulate enough savings to find a new career that is enjoyable. Those are huge accomplishments on the journey to Financial Freedom that you can celebrate. From a young age, most people are instructed to get an education and then a job. After landing a solid job, the recommendation is to save a small percentage of each paycheck for 40+ years until retirement. The underlying assumption is that if you follow this method the same linear path from elementary school until death, spending the majority of each day at work, scrambling to climb the ladder, to get a raise, to buy a bigger house, to fill it with more stuff that wasn’t necessary to begin with. Only after retiring is there room to explore, relax, or spend time with family. You might call it the time-money paradox or slave. Most Americans trade the majority of their available time for a paycheck, and then spend the majority of each paycheck on depreciating material possessions. As the spending snowballs, many people desire a larger paycheck, which requires longer hours and more responsibilities at work, which means even less time to enjoy the additional income. It’s a vicious cycle that often continues in perpetuity. I can’t speak for anyone else, but the standard American lifestyle doesn’t work for me. Instead of material possessions, I prefer to have freedom, freedom to change careers, start a business, take some time off, or travel the world. It’s not about what I choose to do, it’s about having the freedom to choose. This moment is the first moment of the rest of your life. Are you willing to take the steps required to claim your happiness, success, fulfillment, and empowerment? Will you take advantage of the opportunity to create a new reality for your life? For your convenience, I offer a 20-minute FREE no-obligation phone conversation to answer your questions and discuss how you can discover and create personal and professional success. drdorothy@drdorothy.net And you will receive value in the 20-minute conversation. Dorothy M. Neddermeyer, Ph.D., Metaphysician - Certified Hypnosis and Deep Healing Practitioner, International Best Selling Author, and Speaker. Dr. Dorothy facilitates clearing blocks, fears, and limiting beliefs. You can live the life you desire. She brings awareness to concepts not typically obvious to one's thoughts and feelings.